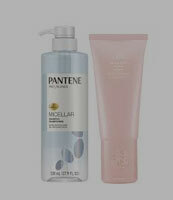 Women’s Bath and Body- Wash Away Your Worries and Pamper Yourself! Bathing is the best therapy for sorrow and depression. Apart from providing a remedy to your bad mood, it is absolutely essential to take shower every day in order to live a healthy life. 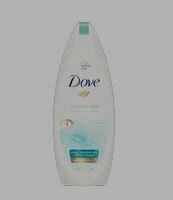 You can add fun to your shower time by using amazingly scented bath & body products brands available at affordable.pk. When you smell good, you are 10 times more attractive than usual. Therefore, shop from the best collection of bath & body products in Pakistan from affordable.pk and be alluring! At affordable.pk, you will find low bath & body products prices for branded items. The team knows the economic worries of its customers; therefore, it ensures the prices that are affordable to them. Smelling good isn't enough! You should be clean and tidy to live a stylish, healthy, and happy life. Therefore, be pristinely clean with the body wash products and shower accessories of famous brands available at affordable.pk in exclusive subcategories. You should give extra attention to yourself because you can only love others when you love yourself more. Therefore, take care of your body with the branded body care products available at surprisingly lowered prices on affordable.pk and make your life smelly and pleasant.